The new rocket, designated the 90R1, is being featured at the St. Petersburg International Maritime Defense Show, which wraps up Sunday. 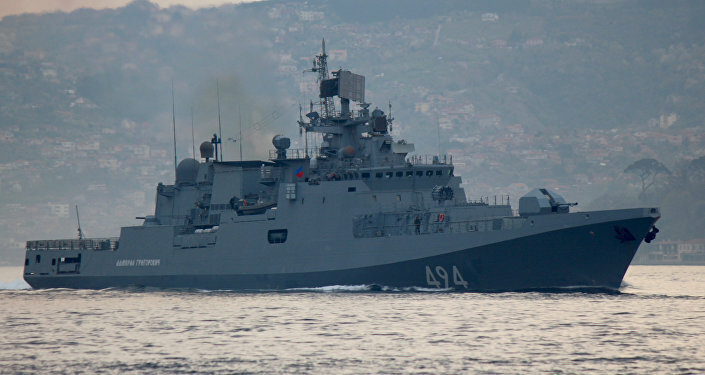 Earlier this week, Splav's press office confirmed that the projectile had already been put into production, and is starting to enter service aboard Russian Navy ships. Splav also showed off another system, the Magnesit-MN, at the defense show. That rocket, also fired by the RPK-8, features hydro-acoustic elements providing surface ships with protection against homing torpedoes. Commenting on the capabilities the new rockets will provide the Russian Navy, independent military analyst and Svobodnaya Pressa contributor Vladimir Tuchkov wrote that it's important to note, first of all, that they are wedded the RPK-8, an anti-submarine warfare system with a long and proud history. "The RPK-8 is a relatively new antisubmarine weapons system, adopted in 1991," the expert recalled. "The system was a deep modernization of Smerch-2, developed three decades earlier. The effectiveness of Smerch-2 as a means of anti-submarine warfare…was not very high. It was used mainly to repel enemy torpedo attacks, since it was equipped not with self-guided torpedoes, but depth charge bombs. Smerch-2 was created by the well-known Moscow Institute of Heat Engineering, which would subsequently go on to develop the Topol mobile land-based ICBM carrier." 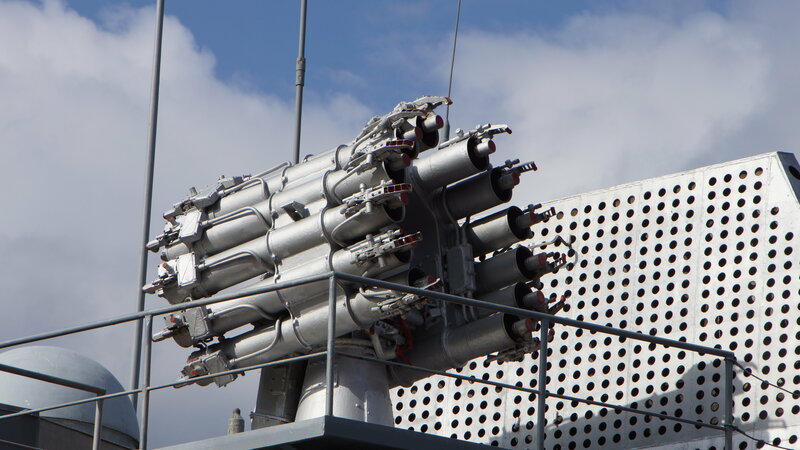 The Splav Scientific Production Concern adopted from Smerch-2 its twelve 212mm launch barrels to create the RBU-6000 anti-submarine rocket launcher. That system featured a new, remotely directed fire control system, and more importantly, rocket projectiles instead of depth charge bombs. The upgrade did not lead to a loss of functionality, however, and both the RBU-6000 and its RPK-8 upgrade are capable of launching Smerch-2's RGB-60 depth charge bomb rounds. The RPK-8's 90R and its 90R1 upgrade's rockets consist of two parts: the rocket itself, plus a separating gravitational diving projectile. Tuchkov explains: "The rocket is aimed at its target (vessel or torpedo) using information about its location received from the ship's sonar station. After splashdown, the gravitational projectile separates and, with the aid of an acoustic homing head, finds its target and directs itself toward it. The 90R has a contact fuse." The 90R1, meanwhile, features an inductive noncontact fuse what goes off when the projectile reaches a certain predetermined distance from its target, thus further improving its efficiency. According to the expert, the 90R and 90R1 guided rounds increase the ASW system's effectiveness 8-10 times compared to its Smerch-2 predecessor, "whose bombs were launched, figuratively speaking, by blind luck." The 90R has a range between 600 m and 4.3 km, and a depth of up to one km. The range of its acoustic homing head is 130 m. The 90R1 is believed to feature improved range, although these have yet to be revealed in open sources. In any case, Tuchkov noted that "it can be assumed that designers did not increase its depth characteristics, since 1,000 m is beyond the limits of any NATO submarine or torpedo." The analyst writes: "The 90R has advantages over traditional torpedoes in use against submarines. Because its gravitational projectiles lack an engine, they can move without being tracked by enemy sonar. They can be detected with the help of active sonar, but this mode of operation by an enemy vessel gives away its location even further. Moreover, it doesn't make much sense anyway: As a rule, major underwater targets are targeted by volleys of twelve rounds at once, and due to the reflection of the sonar waves from all twelve projectiles, a complex interference pattern is obtained, making it impossible to accurately determine the position of attacking warheads." 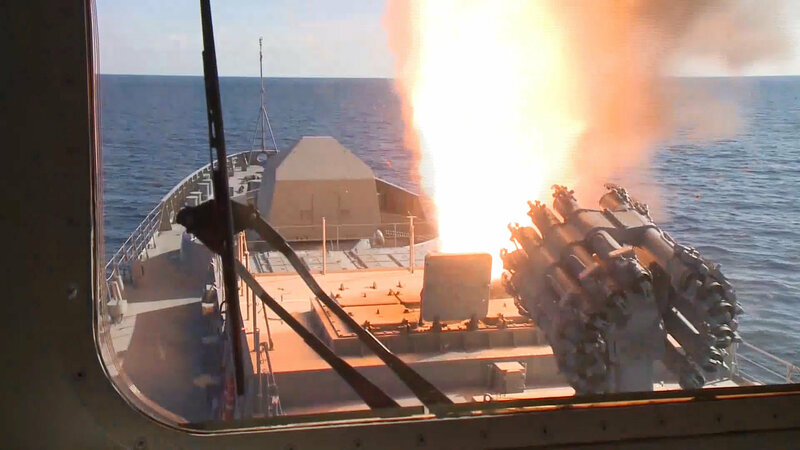 Admiral Grigorovich frigate launching its cruise missiles off the coast of Syria. RBU-6000 rocket launcher featured in the foreground. The RPK-8 has a response time is 15 seconds, with a single-salvo kill probability of 0.8. A single 90R projectile weighs 112.5 kg, including its 67 kg gravitational projectile, and 19.5 kg warhead. The same missile casing is used on the Magnesit-MN. That system is tasked with creating false targets for acoustic-guided enemy torpedoes. It has the same 4.3 km range, and weighs 115 kg. Its acoustics systems were developed by the St. Petersburg-based Akvamarin Corporation. Tuchkov writes: "After splashdown, the projectile sinks to a depth of 25 meters, and produces interference for a period of eight minutes, enough time to counter an enemy torpedo attack. The Magnesit-MN is capable of operating in two modes – as a generator of interference for guided torpedos, and as an imitator of acoustic signals typical for surface ships. In the first case, enemy torpedoes are disoriented; in the second, they rush to a false target –i.e., to the Magnesit-MN." Furthermore, the analyst explained that the Magnesit-MN's interference-generating systems can be used without the missile shell, dropped into the water by helicopter, for example. Ultimately, Tuchkov emphasized that at their core, the RPK-8 and its 90R, 90R1 and Magnesit-MN projectiles are a ship defense system designed for close-quarters combat. "However, offensive weapons designed to destroy subs at great distances also exist, and can be based on a variety of platforms, including ships, subs, and aircraft," the analyst added. Among them is the 91R1 Kalibr, launched from a submerged position from depths of up to 150 m.
"The rocket is fired from a standard 533 mm torpedo tube. Its exits the water using a solid propellant accelerator. Then the main engine is turned on. The missile is guarded to its target using an inertial guidance system. In its anti-submarine missile capacity, its payload is carried in a mini-torpedo. When the missile reaches the point specified in its flight program, the torpedo disconnects and parachutes down to sea level, turns on its engine and begins its search for the target with the aid of sonar." The 91R1 has a maximum flight range of 50 km, and a speed of 700 m/s (top-notch in this class of weapon). Prelaunch preparation time is 10 seconds. One salvo can launch four missiles. The homing sonar is capable of detecting targets at distances up to 2 km. For comparison, Tuchkov noted that the equivalent US anti-submarine missile is the Lockheed Martin RUM-139 VLA, which entered into service in 1996. 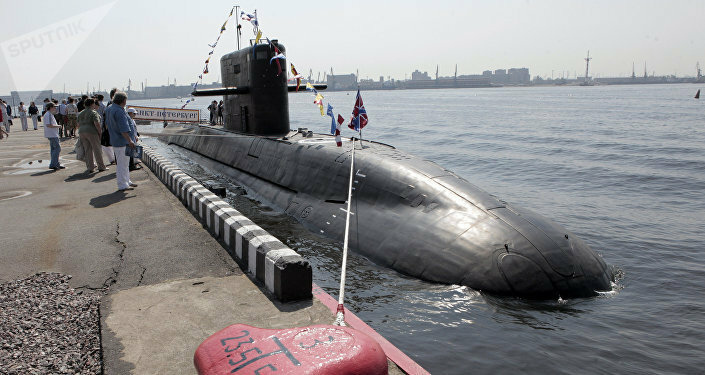 Installed aboard surface ships, that missile has a range of 28 km, a flight speed of 330 m/s, and uses inertial guidance. The Mk-46 torpedo is its standard warhead – introduced into the Navy in 1964 and upgraded five times since. "However, all of these upgrades did not bring it up to par with the APR-3 Orel ('Eagle') torpedo used in the Russian 91R1," the analyst wrote. "The maximum speeds are incommensurable – 65 vs. 45 knots. Maximum depth is too – 800 vs 450 m. The Orel also has a higher range. All of this is predetermined by the fact that the 91P1 has a starting weight of 2,100 kg, while that of the RUM-139 VLA is 640 kg."